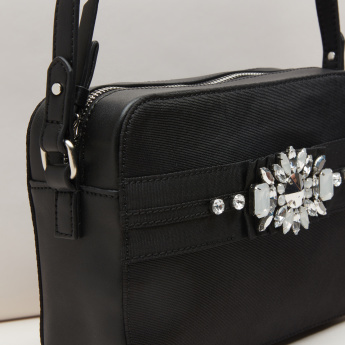 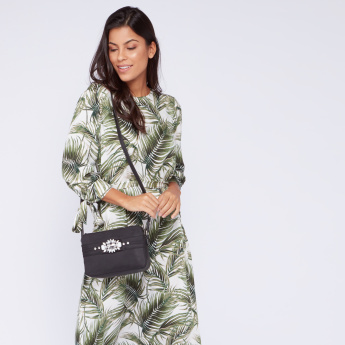 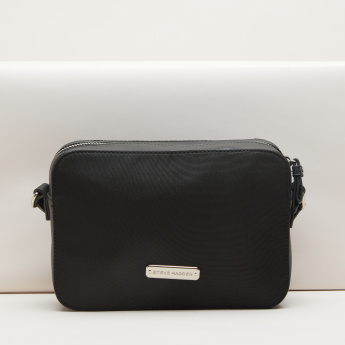 Level up your style and fashion sense with this designer crossbody bag from STEVE MADDEN. 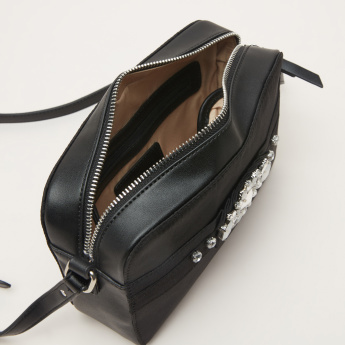 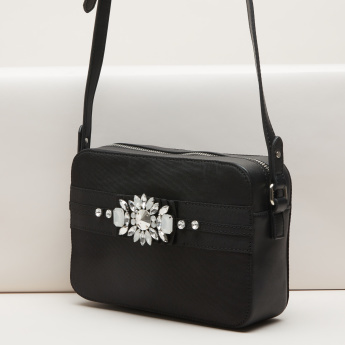 The bag flaunts a classy texture adorned with embellished detailing that elevates the overall appeal. 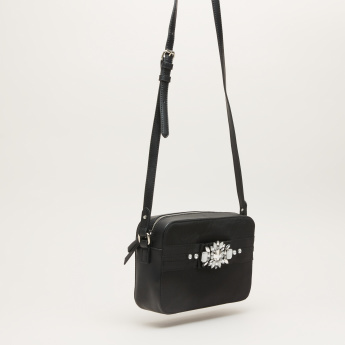 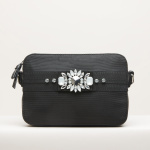 Owing to the pin buckle on the shoulder strap, the length can be altered as per your wish.